Home › 1. Transportation › The ELD Mandate is Here: Now What? The ELD Mandate is Here: Now What? Today, December 18, 2017, the FMCSA’s Electronic Logging Device (ELD) Mandate deadline finally kicks in. Motor carriers who were required to maintain Records of Duty Status (RODS) before now had until today to switch from paper and logging software to electronic logging devices to track Hours of Service (HOS). Today also marks the start of the second phase of ELD implementation, “phase-in compliance”. While the use of ELDs is mandatory from today, fleets with existing AOBRDs (Automatic On-Board Recording Devices) have been grandfathered during Phase 2 for two years until December 2019. The ELD Mandate has arrived: What happens from today? The FMCSA will start to implement the long-awaited rules and inspectors could issue citations for non-compliance from today. The CVSA, which enforces the regulations, plans to begin enforcement immediately – but with some discretion. Although the ELD mandate becomes official today, the period up to April 1, 2018 is seen as a transitionary time. Drivers, carriers and inspectors will require time for training and practical interactions with the new ELD technology. For example, there will be no significant impact on the FMCSA’s Compliance, Safety and Accountability scores (CSA) until April 1, 2018. Drivers and carriers who are hit with ELD-related citations for non-compliance during roadside inspection won’t have points assigned against them in the CSA scoring system. Neither will drivers be put out-of-service. The 10-hour out-of-service violation associated with non-compliance with the Mandate will not begin until April 1, 2018. However, it is likely that fines may still be distributed to drivers and carriers for serious violations that are discovered – and that ELD and Hours of Service enforcement will still occur. Waivers have also been agreed with various groups. The U.S. DOT has officially given drivers hauling livestock and other agriculture commodities a 90-day temporary waiver from ELD compliance. This will allow the agency some more time to better examine the agricultural industry’s concerns over the new rules. Drivers will need to have a link or a copy of this waiver in the cab with them. In the last few days, the FMCSA has also announced a 90-day exemption for short-term rental trucks. For fleets already installed with AOBRDs, the good news is that all units currently installed with AOBRDs can remain with AOBRD devices until December 17, 2019. Some fleets can see several advantages to this position, including fewer steps for edits to RODs status, the reliability of existing hardware and software, the familiarity of drivers with existing functionality and the ability to provide electronic records to roadside inspectors in a simpler way. However, carriers using AOBRDs that were installed prior to today can continue to use these only on vehicles which don’t increase the fleet’s size. If a fleet grows, ELDs will need to be installed on all new vehicles after today. By December 2019, ELDs will need to be installed on all vehicles. Across North America, thousands of trucks are equipped with ORBCOMM’s Blue Tree ELD capable solutions. 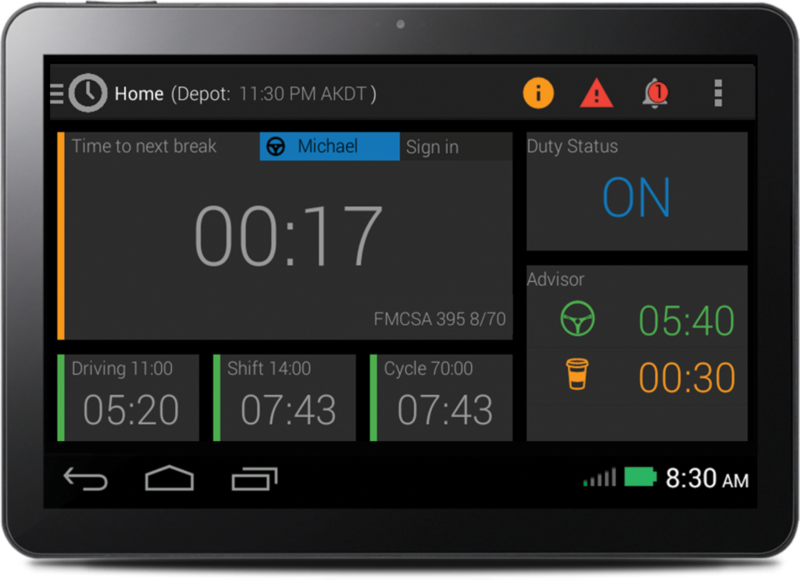 For fleets wishing to switch to ELDs, ORBCOMM’s Blue Tree ELD is registered and certified with the FMCSA. Switching from AOBRD will be straightforward. 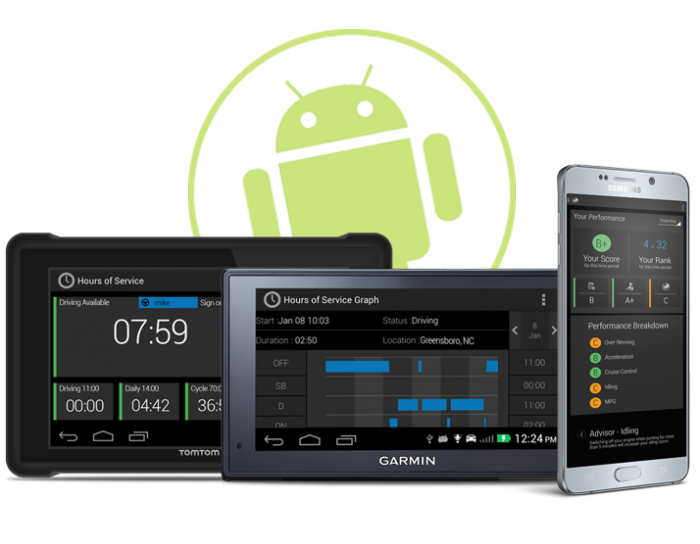 All current BT500/Android devices are ELD capable without having to touch the truck. We will update fleets with over-the-air updates to transform AOBRDs into ELDs; there will be no need for a new hardware or in-cab installation. To help customers with driver implementation, we will continue to create options for training as we move into 2018. It is the goal of our organization to aid all our users as they work diligently to adopt and use new technologies and adhere to new regulations. Training will need to be arranged for drivers for the ELD requirements which will impact on them. Topics will include presenting logs at the roadside to inspectors, being able to operate RODs transfer options by email or web services, knowing how to deal with unassigned miles, learning about accepting RODs edits completed by the back office, and understanding and learning what to do with a malfunctioning device. Understanding new parameters around yard moves and personal conveyancing will also need to be covered. 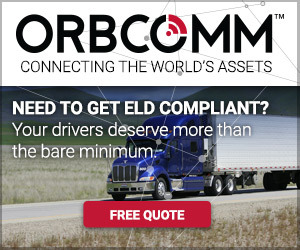 Why choose ORBCOMM’s Blue Tree ELD solution? If there are carriers that still need to choose an ELD – or carriers who are considering moving from their current AOBRD vendor – ORBCOMM’s Blue Tree ELD has been a very popular choice during the first phase of ELDs. Regarded as one of the most driver-friendly ELDs on the market, the Blue Tree ELD is loved by drivers who have found its modern look and feel easy to use and quick to learn. Training takes as little as 15 minutes. Simple log editing means that drivers can quickly, easily and legally edit their non-drive duty logs to correct mistakes. This combines with a comprehensive, in sync, back office solution for dispatchers and compliance managers, who can solve issues like missing miles and log editing in the most productive ways. Learn more about ORBCOMM’s Blue Tree ELD solution. In October 2017, ORBCOMM acquired BlueTree Systems, a world-class transportation management solution provider with the most advanced and user friendly ELD/HOS solution on the market for medium to large sized fleets. To learn more, visit www2.orbcomm.com/eld or email us at eld@orbcomm.com. Denis Cody is European Marketing Director for ORBCOMM. I believe load to truck ratios’ are at an all time high. 64 loads per truck in AR, 60 to 1 in KS, 27 to 1 in TX! Carriers should be in the drivers seat on rates with these numbers.